The continued evolution of any organism is based upon the plasticity of its genome and the dissemination of genetic modifications—mutations—onto subsequent generations. 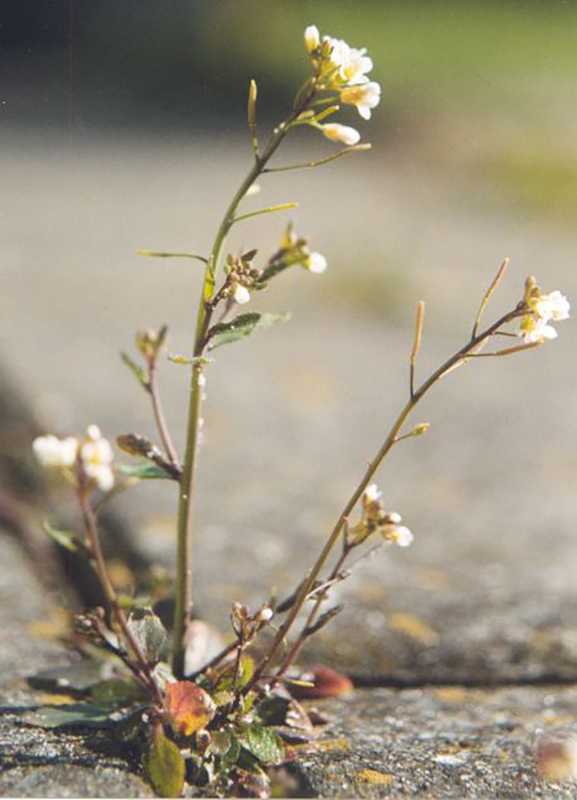 Now scientists at the Karlsruhe Institute of Technology (KIT) in Germany have been able to detect an important mechanism in the evolution of plant genomes using the model organism Arabidopsis thaliana. Employing the CRISPR/Cas system, the researchers studied the formation of tandem repeat DNA sequences and found that these sequences form if both DNA strands are broken at a significant distance from each other. A guiding factor in genome evolution is the duplication of existing sequences, and such duplications may be caused by various mechanisms. Plant genomes often contain shorter DNA sequences that are duplicated in a tandem fashion. The KIT investigators believe they have found out how these sequences arise. “As we know, the DNA is a double-stranded helix. Our results show that the repair of single-strand breaks (SSBs) occurring at a significant distance from each other in the two opposite strands plays an important role in the generation of duplicates in plant genomes,” explained senior study author Holger Puchta, Ph.D., professor, and director of the Botanical Institute at KIT. The KIT team learned from their work with A. thaliana that the synchronized repair of two such SSBs consistently led not only to deletions but also to tandem duplications of shorter sequences near the break locations. In a targeted manner, the scientists introduced differently spaced SSBs into different regions of the genome and then analyzed the repair results by DNA sequencing. To create the SSBs exactly at the desired locations, the KIT team used a novel form of the CRISPR/Cas system. Dr. Puchta and his team show that the presence of multiple SSBs in the DNA can introduce genome modifications. Such SSBs quite often occur naturally in plants, above all if they are exposed to ultraviolet light. “The newly discovered mechanism is therefore of enormous importance for understanding the evolution of plant genomes,” Dr. Puchta remarked.